Experienced family management has already built and sold two quoted restaurant chains for £200m-plus (ASK Central and Prezzo). Bombed-out share price may provide vast upside if cash generation can improve to stave off a significant rescue fund-raising. Latest results offer glimmers of hope through greater sales per restaurant and per employee. Dismal interim figures published during September had already heralded these miserable full-year numbers. 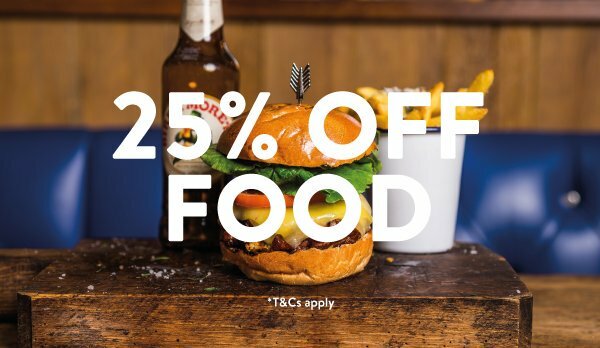 The combination of debt and long-leasehold, loss-making restaurants prompted TAST to admit — albeit within note 21 of the accounting small-print — that “the company intends to raise new equity”. This new equity is in addition to the £500k the directors pledged to inject during November. The spectre of a de-listing lurks in the background. Management-connected chain Richoux gave up its AIM quotation earlier this year. TAST’s second-half performance showed glimmers of hope. That said, the gross margin remains extremely weak and additional central costs crept into the business during H2. That £505k adds to the £4.1m raised during H1 following the sale of two central London sites. Of course, not every TAST outlet can be sold on. 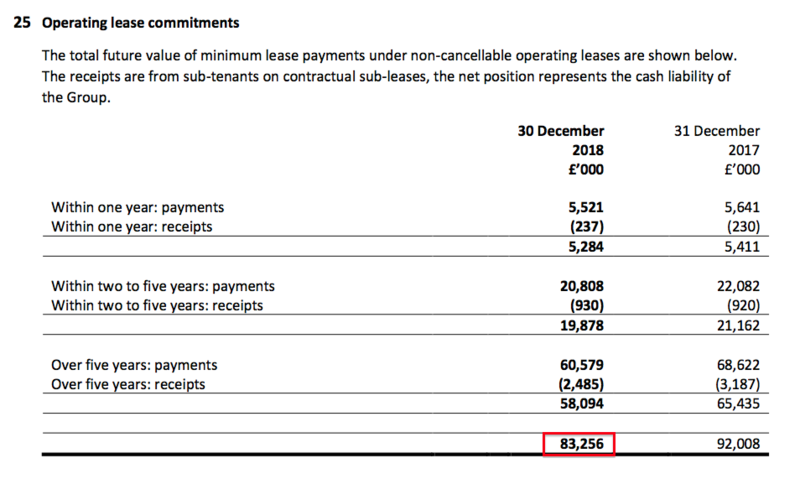 The balance sheet shows an ‘exit provision’ of £3m. More on that later. And of course, TAST may in fact be selling its very best units simply to raise much needed cash. Actions have included re-jigging menus, staff training, new IT and less bureaucracy. New dishes included smoked haddock fish cakes and a chicken and cumberland sausage risotto. 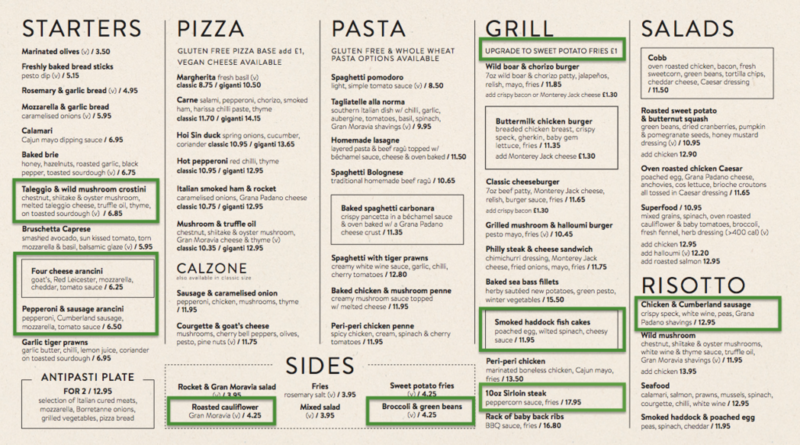 About a third of menu items have seen their prices lifted by between 5p and 40p. Employee ratios provided further glimmers of hope. What’s more, employees per restaurant (at 16.6) is the lowest since the 2006 flotation. I should also mention that the cost per average restaurant employee has reached £17.6k — a new high. The year-end balance sheet showed cash of £4.3m and debt of £6.4m. Net debt was therefore £2.1m. Add on the £505k received from the aforementioned restaurant disposals during early 2019, and net debt could now arguably be £1.6m. TAST’s first-half statement said cash and debt at the end of June were £2.9m and £7.0m respectively following an underlying cash outflow of £3.1m. During the second half, TAST generated net cash of £2.0m to give an underlying cash outflow of £1.1m for the full year. TAST’s November update said cash and debt at the end of October were £2.1m and £6.4m respectively. During November and December, TAST therefore generated net cash of £2.2m. Trading during July, August, September and October therefore appears to have consumed cash of £0.2m. Interest paid during H2 was £133k and suggests an interest rate of approximately 4.0% on the outstanding debt. A 4% interest rate perhaps means the bank views a default as unlikely. TAST essentially took a £1.7m charge during 2018 and a £1.6m charge during 2017 as its best guess of the cash expenditure required to jettison loss-making restaurants. In other words, cash of up to £3.3m could be needed during the next two years to exit the problem leases. Some of this £3.3m may be generated by the better-performing restaurants. 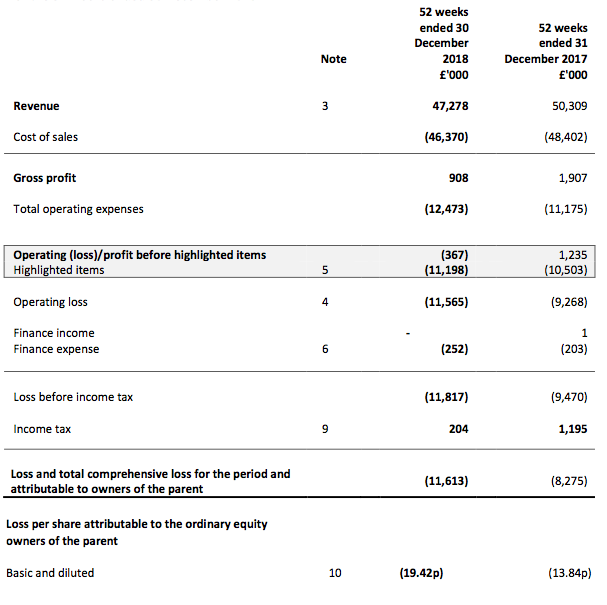 However, TAST produced an underlying £1.1m cash outflow during 2018 and continues to have debt of £6.4m to service. As such, the aforementioned small print within note 21 — that “the company intends to raise new equity” — is perhaps not so surprising after all. Perhaps Brexit is a convenient excuse, and diners simply prefer Wagamama’s ramen dishes to TAST’s smoked haddock fish cakes. The recent 7p share price supports a £4.2m market cap. To emphasise how badly TAST has fared, two years ago the group reported a £4.1m operating profit. A £4.2m market cap compares to revenue of £47m and a net book value of £11m. 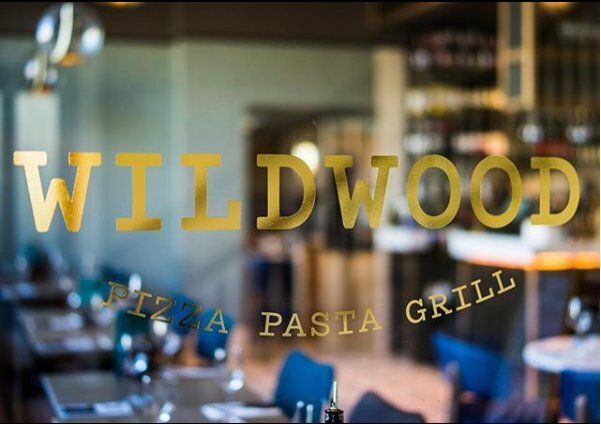 The estate currently comprises 52 Wildwood restaurants and 6 dim-t restaurants. Each site is therefore valued at £4.2m / 60 = £70k. Two years ago management claimed new a site fit-out would cost £650k. The landlord of the Cobham Wildwood restaurant recently purchased the site as a going concern for £350k — presumably no fit-out costs were required. The prospect of acquiring a decent restaurant well below its fit-out cost may tempt other buyers. Righting TAST’s balance sheet once and for all may require say, £3m, to reduce debts to a manageable level and, say, £3m, to cover the expected losses reflected by the aforementioned provision. TAST’s 2017 annual report reveals the company can issue an extra 11,959,100 shares — or 20% of the current share count. 11,959,100 shares placed at the recent 7p share price raises £837k. £837k plus the £500k the directors pledged to supply in November does not appear enough to resolve TAST’s plight once and for all. But £837k plus the £500k might be enough to provide TAST some breathing room to enable further disposals and stem current losses. Bear in mind the nominal price of TAST’s shares is 10p — and new shares cannot be issued below the nominal price. Any equity raise will therefore require extra paperwork to resolve this matter. 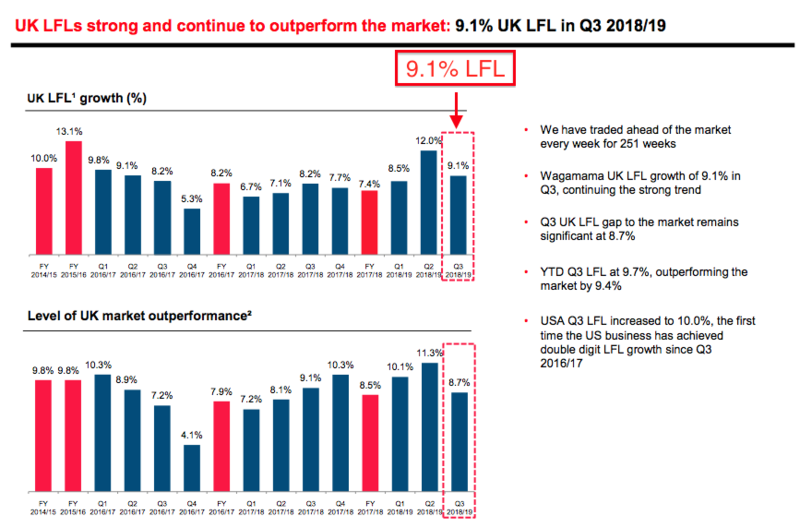 The upside potential from a £4.2m market cap could be vast if trading ever improves and/or the underlying cash generation (a £1.1m outflow for 2018) can return to a break-even (or even positive) performance. I am bravely/stupidly holding on to the shares in the hope the aforementioned glimmers are evidence that TAST is not completely crippled just yet. Great work, what a comprehensive review, made me feel better for some reason! I think the sales per restaurant and employee ratios suggest management actions have stemmed the tide (at least for now) and all is not completely lost. Shareholders could still be diluted to smithereens with an equity raising, but selling out now simply feels far too late. In my wilder dreams, management may actually raise cash to pick up site bargains from other distressed operators. Another point I should have mentioned was debt of £1,800k was due to be repaid within 3 months after the year and (i.e. before 31 March). That TAST has not yet announced the directors injecting the pledged £500k suggests the financials haven’t deteriorated too badly so far this year. 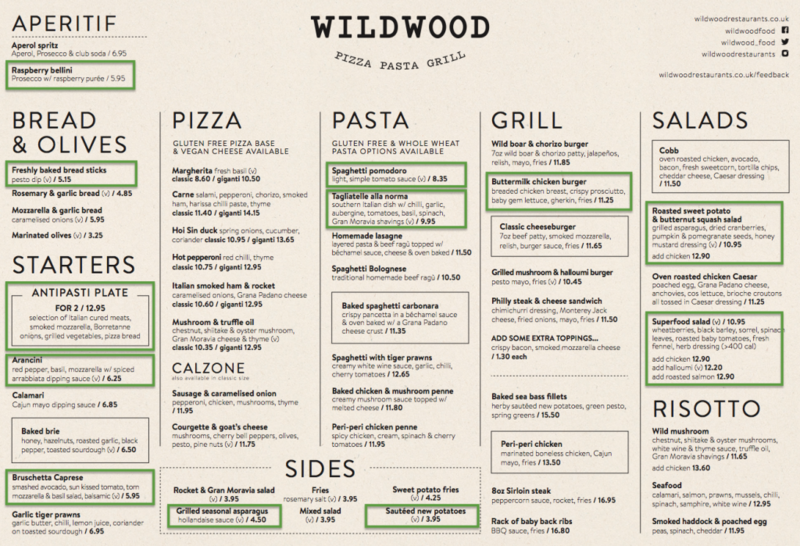 The Wildwood menu has been revised further. Back then, new dishes included smoked haddock fish cakes and a chicken and cumberland sausage risotto. I estimated about a third of menu items then saw their prices lifted by between 5p and 40p. The smoked haddock fish cakes have gone and the chicken and cumberland sausage risotto is now a chicken and ‘Nduja sausage risotto. 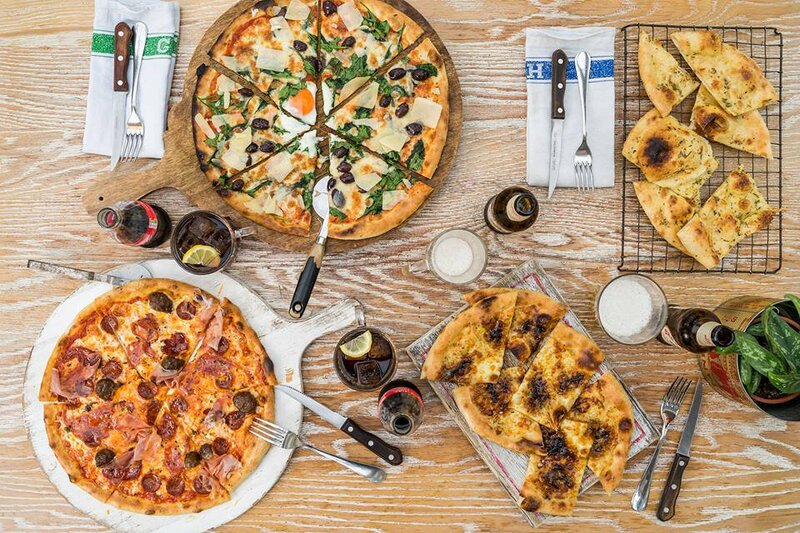 The main additions are three gourmet pizzas, and with the other changes, there are two extra main dishes (I think). There are a net two extra sides, while both aperitifs have disappeared. The grill dishes have almost all witnessed price rises of up to 90p. A handful of rises have occurred elsewhere on the menu. 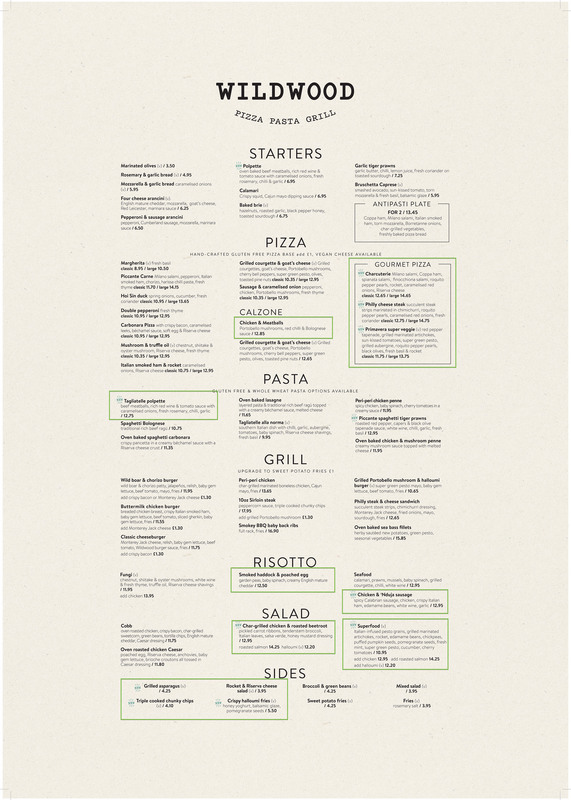 Overall, not a radical menu overhaul but at least management appears to have accelerated the menu tweaking while gourmet pizzas do not seem to be an obvious flop (on paper at least). Announcement today to raise funds resulting in a further dilution of the share price. Now down at 4.8p, how lower can it go….. don’t answer that one Maynard! * TAST’s 2018 results had already indicated — albeit within note 21 of the small print — that “the company intends to raise new equity”. * Today’s announcement confirms up to £3.25m will be raised at 4p a share. * The share count will increase by 136% if the fund raise is taken up entirely. * The Kaye family (42% shareholders) has pledged to provide £800k. * An executive director (7% shareholder) has pledged to provide £100k. * Gresham House (17% shareholder) has pledged to provide £400k. * The Kayes, the exec director and Gresham (then Livingbridge) bought shares at 145p during the November 2016 fund raise. * Octopus Investments (4% shareholder) has not pledged anything. * House broker Cenkos has agreed to “use its reasonable endeavours… to procure subscribers” for a further £1.7m. * Assuming the full number of shares is taken up, the market cap at the 4p placing price is £5.6m. * The proceeds will be used to reduce debt. * Debt at the end of 2018 was £6.4m, of which £3m was repayable during 2019. * The fund raise should leave debt of £3.4m, with a final repayment date in March 2022. * Cash at the end of 2018 was £4.3m and assets of £550k have since been sold. * Cash right now will undoubtedly be lower than £4.3m + £550k due to “slow” Jan/Feb trading and the business having consumed cash throughout 2018 (except during Xmas). * However, cash post-placing should be greater than debt — which is a start. 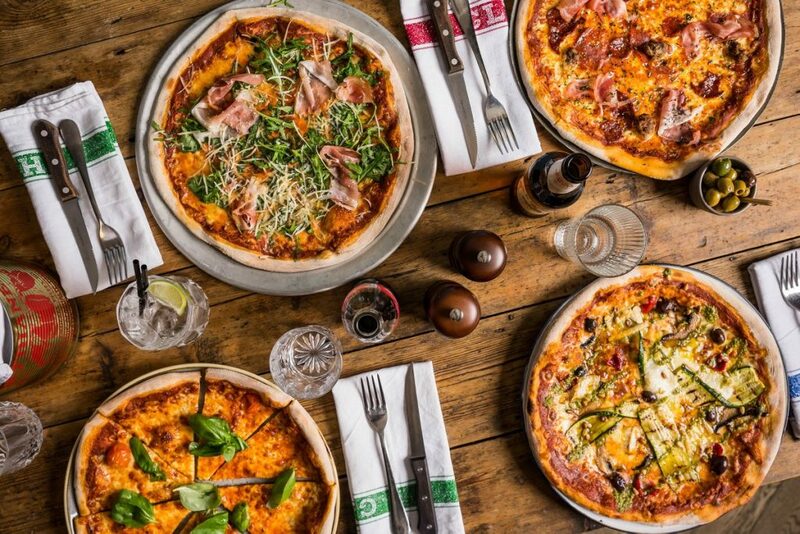 * Provisions at the end of 2018 were £3.3m and represent future cash outflows and lease-exit costs from certain loss-making restaurants. * Finding positive cash flow of £3.3m from profitable sites (if there are any profitable sites) to counterbalance these expected outflows could be tall order. * As such, TAST does not seem completely out of the woods just yet. * But breathing space with the bank should now allow management more time to deal with operational matters. * Everything still boils down to TAST reviving its sales, lowering costs and (critically) generating cash. * The upside potential from a £5.6m market cap could be vast if trading ever improves given revenue of £47m and 57 restaurants. * The 2018 results showed glimmers of hope, and the menu continues to be tweaked, but obvious signs of a recovery remain elusive. * The term “many instances” suggests some sites have not done as well following the turnaround strategies. * I continue to bravely/stupidly hold on.